With more than 20 years in the hotel business in senior management positions, the Expo Tracker Housing Team is a prime resource to provide integrated, professional and cost effective housing services. Our experience and professional contacts in the marketplace provide the tools to secure the best possible terms for our customers. We ensure our clients receive the most favorable room rates, complimentary/upgrade room allotment, appropriate cut-off date, and best attrition terms available. We do the market research and review show history to offer the most accurate estimate of room requirements and suggestions for over-flow blocks to ensure show management does not face attrition charges and other fees imposed by hotels. 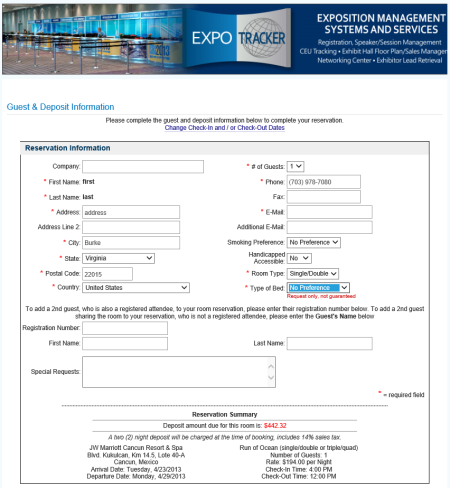 Expo Tracker integrates the housing and registration process to create a seamless, one-step process for attendees and exhibitors. As attendees and exhibitors complete their registration, the housing process integrates to make it as easy as possible for everyone to stay within the block. Expo Tracker is proactive in attracting exhibitors to the housing block by contacting each company directly to personally attend to their hotel room requirements. Expo Tracker concentrates on providing the best possible service to each attendee or exhibitor. Phone calls are answered professionally and courteously, and e-mail messages are returned promptly. Our Internet based system is easy to use and makes completing the online housing process quick and efficient. Friendly, professional customer service call center to take reservations by toll free phone numbers. Closely monitored room blocks to avoid over-sell or attrition situations. Show management and hotel management have access to live, real-time reports 24/7, even on-site. Secure, direct room list downloads so information is never lost and data is not re-keyed. The Housing Center System can integrate directly with most national chain reservation systems for seamless, reservation integration. 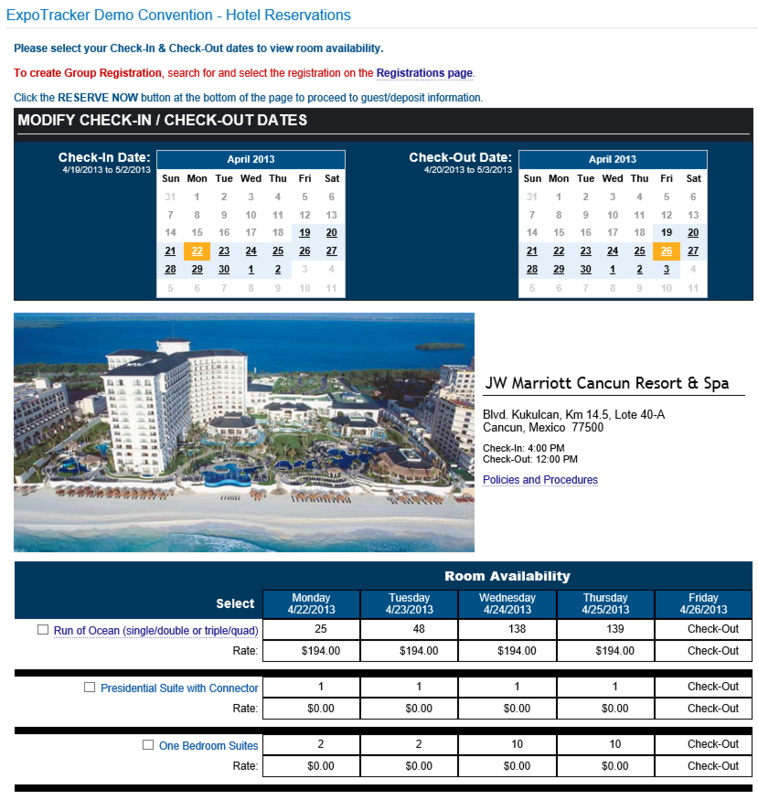 VIP or member only websites protect room blocks for specific groups.